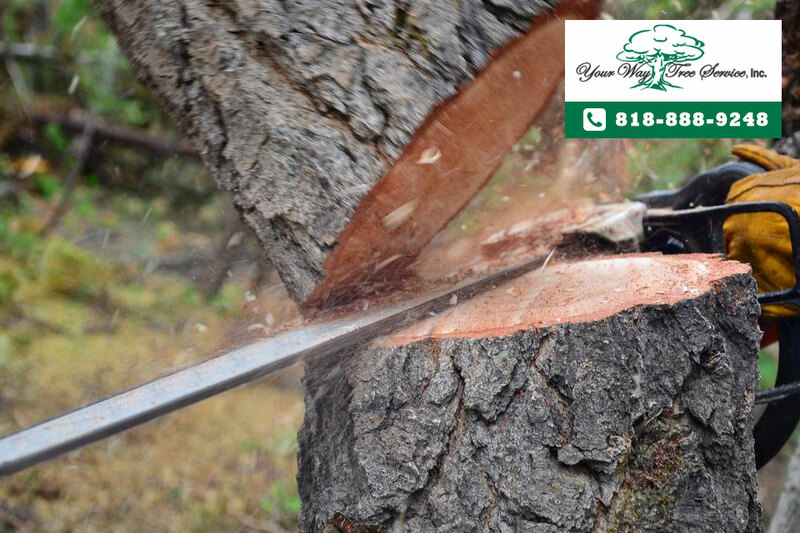 Professional Tree Removal Services In Calabasas | Your Way Tree Service Inc. In the aftermath of a storm, you may discover that one or more of your trees has fallen or been seriously damaged by high winds and lightning. As you look at the remains of your trees, you may start to think about the best way to get rid of the damaged plants, and of the remaining stumps in your yard. If the tree is large, and you are risking damage to your garden by doing the job yourself, you should call in a professional tree removal services in Calabasas for your property . The first thing that will occur when you call in a professional team is an assessment of the trees and their current condition. If the tree has died, or if there is significant damage to the main part of the tree, (the trunk) then it is most likely that professionals will recommend complete removal of the tree. They may advise you to remove other nearby trees as well. This is particularly possible if they have been damaged by the same storm, or have been hit by parts of the same falling tree. Removal is the best way to ensure that you are not left with a decaying or rotting tree that can spread disease through your garden and pose a risk to the rest of your property. Another important part of the removal process is getting rid of the stump that remains. If the tree has fallen, then the stump will not be a clear-cut piece mainly consisting of roots. Instead, it may have as much as three or four feet of tree remaining in an upright position. This can be very difficult to handle, and so you need to get expert help to deal with that part of the dead tree in addition to the main trunk. You want to make sure that your damaged or dead trees are cleared from your garden as efficiently as possible, and this means calling in a team of professionals. 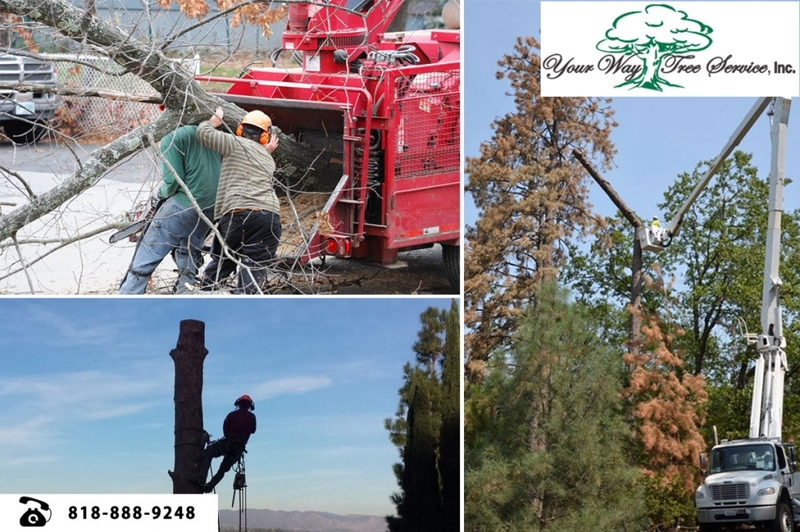 When you seek help from Your Way Tree Services Inc, we can help you with all forms of professional tree removal services in Calabasas, from fallen trees laying in your yard to living trees which are suffering disease and anything in between. For a quick assessment of costs and time relating to tree removal, call us now at (818) 888-2335.